Since 1999, a powerful Latino criminal organization, it’s been spreading Big throughout Southern California and Latin America. They recruit “Messengers”, trained assassins to fulfill their deliveries. 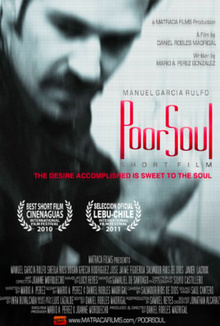 First short film in English, where Mexican actor Manuel García Rulfo participated. Best Short Film / MEJOR CORTOMETRAJE DE FICCION – Festival de Cine CINENAGUAS 2010. Official Selection / Seleccion Oficial LEBU International Film Festival 2011 Chile.